Get this next gen Fenix model and get ahead in life with a market-leading range of daily and sporting features. 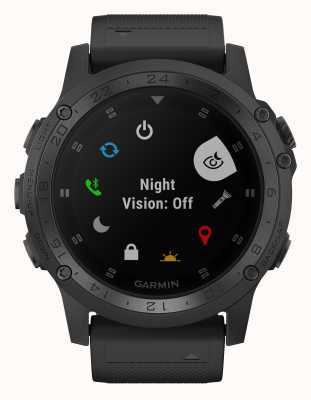 The Fenix 5X Plus Sapphire is of course a very good looking watch with sleek black case and colour screen of high res, but the in-built gadgets are what you want. 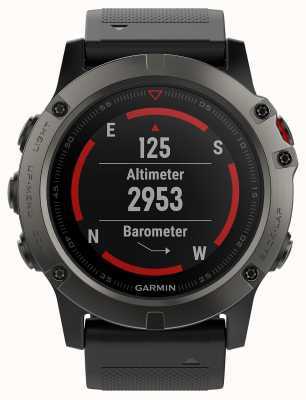 Features European topographic maps, multisport GPS, on-the-wrist heart-rate monitor, acclimation monitor (awareness of blood oxygen), 500 song storage on the watch, three-axis compass, gyroscope, barometric altimeter, route- tracking, and more. 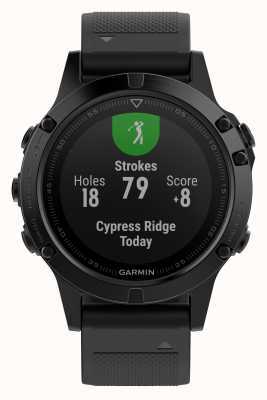 First Class Watches CAN are Garmin watch retail partners so you can be assured your sparkling new watch will arrive with a stamped manufacturer's warranty, packaging and instructions. Fantastic watch, does everything I wanted and a whole lot more. Very comfortable to wear and looks amazing. First class watches service was second to none!!! 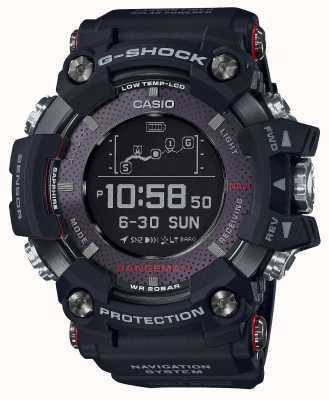 As described, this watch is packed full of features and will suit the serious athlete or outdoor enthusiast. Allow time to familiarise yourself with these features and don't get frustrated with it; it provides you with performance stats based on what you tell it about yourself. The menu navigation, although straight forward, takes a little getting used to but you'll soon get the hang of them. 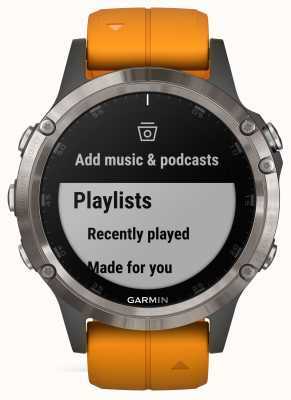 I'd imagine an easy transition for Garmin users, the rest of us will need to work a little harder to perfect. The online owners manual is available and can be used as a reference guide; there's a lot to this watch! 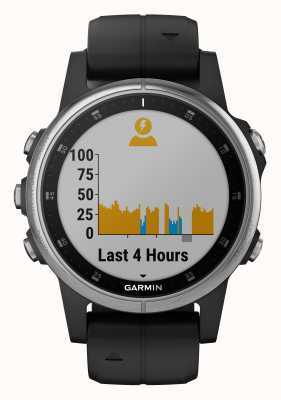 In conjunction with the Garmin Connect App on your phone, your activity stats are uploaded immediately and may even be available on 3rd Party Apps before you've completed your cool down. The watch initially feels a little top heavy and unbalanced but the close fitting strap provides the security you need. 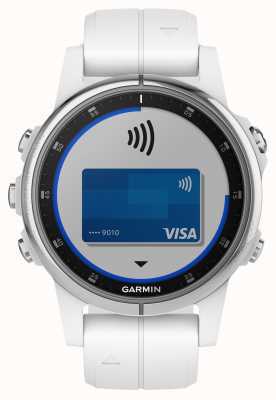 The menu selection buttons require a positive push, adding to the robust feeling of the watch. Take time to enjoy. 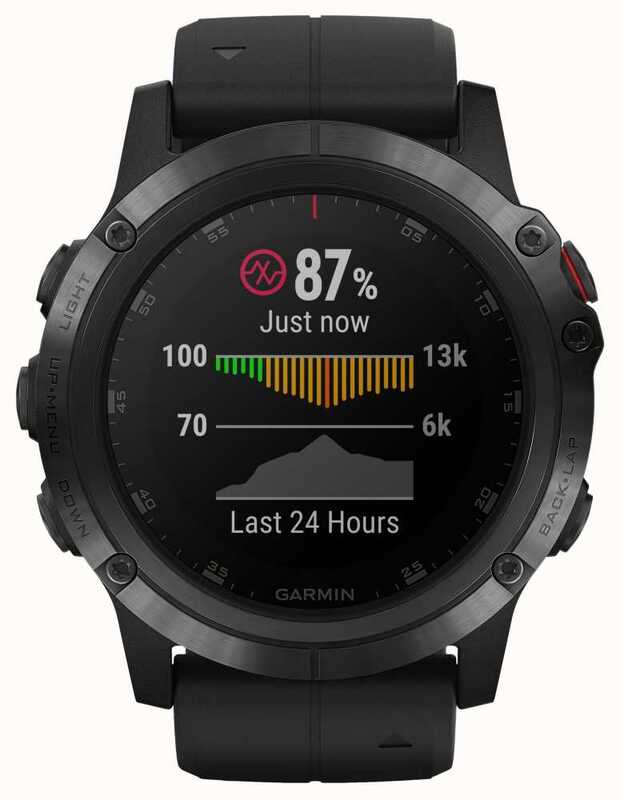 I love my Garmin Fenix 5X Plus Sapphire! It looks fab and the functions are amazing. I can now keep close tabs on my fitness and health as every detail of my running and other activities are logged in detail. Fantastic device at a good price and delivered in super quick time. I heard of my watch from a friend who has an earlier version. 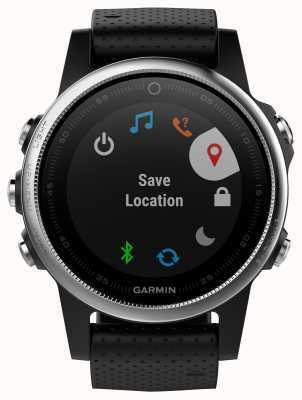 I was looking to upgrade my existing Garmin Viviotech and the Fenix fit the bill. A quick Google search brought up First Class Watches and, I have to say, they are. Not only was my watch considerably less expensive than RRP, but it was on my wrist less than 48 hrs after placing my late Sunday night online order. In a day and age where we come to expect a mediocre customer experience, First Class Watches demonstrate that excellent value and service can be achieved. Thank you. I’ll definitely be a return customer. I bought this watch for my husbands 50th Birthday after searching online. He is very much into triathlon and running and his last few watches have been Garmin watches. First class watches were by far the best value for this product and being an actual high street business I felt reassured that the site was legitimate. I did make contact with them prior to making the purchase and the response was speedy and very friendly. I placed the order on a Wednesday and the parcel came early Thursday morning. It was really well packaged I had to sign for the delivery. The watch is epic. It does everything he wants and more and looks really smart as an everyday watch. He is delighted. I would highly recommend First Class Watches and if you are having any doubts about ordering from them, don't! Oh my god, my life is complete. This watch is all I’ve ever wanted from an exercise watch. I used to have the Fenix 3 but this is sooooo much better. I love the maps feature and the configurability of the displays. The amount of data that is available during and post workout brings out the inner nerd in me. I love it. 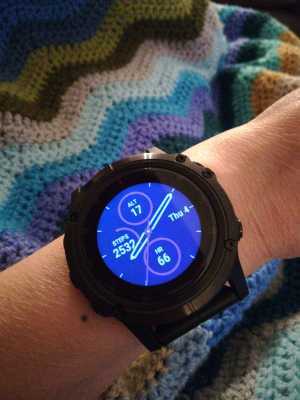 At first I purchased the garmin fenix 5x plus sapphire but didn't really like it so i did a exchange for garmin fenix 5. First of foremost really pleased with the excellent customer service. Definitely would recommend it. Absolutely cracking watch, looks great and packed with plenty of features but unfortunately for me the screen clarity and brightness lets it down, for such a top end watch I'm really disappointed and therefore sticking with my Samsung. Great customer service from start to finish. Great discount on my watch. Fast delivery. Highly recommend firstclasswatches. Easy transaction and next day delivery , my offer price was fantastic! The list is endless you Can not believe they can fit so much into one watch. Loving the watch; loving the service. I checked so many reviews & videos before deciding. Have used it walking & running outside and in the gym on treadmill, elliptical & step machines. GPS accuracy seems good. Used the inbuilt wrist HRM and a separate chest HRM belt - both successfully. 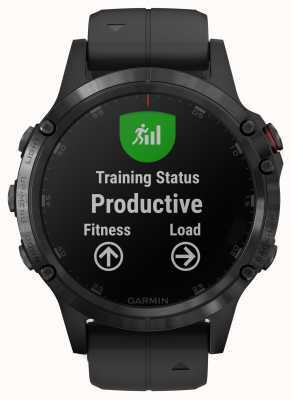 It links seamlessly with Garmin Connect and Strava apps on iPhone; providing a wealth of additional fitness data & functionality. Once deciding factor was the screen size, it's quite big...and that makes it easier to read quickly in use. Impressed too by First Class Watches. Hadn't heard of them before and their online chat was very helpful during the final decision-making process. Comms re order status & delivery excellent. Next day delivery as promised. So far, first class all round! 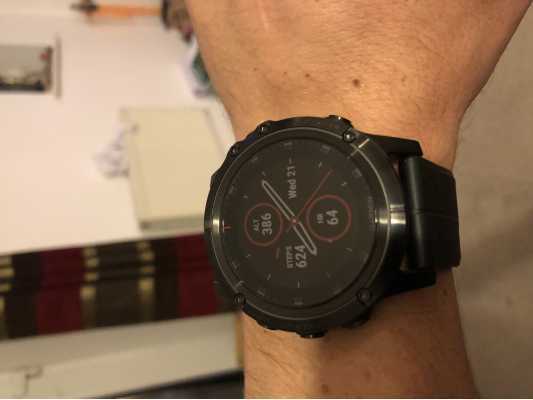 Item received promptly, bought the Fenix 5 x plus, purely as it has best battery life in Fenix 5 series, en-rout to ironman Tenby, so need something that will go the distance,( probably better than me!!). Features are awesome, still learning all that apply and so far very impressed and exceeds my expectations. 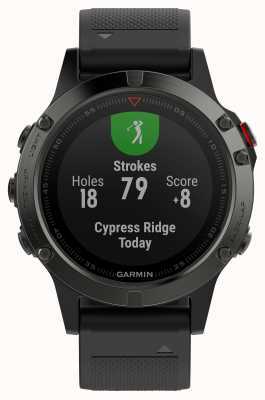 The best multi activity watch on the market. Bombproof with brilliant features. I had the Fenix 5x and upgraded to this one. Firstclass watches made it affordable with interest free payments. A brilliant idea! Happy with the watch. Delivery was very quick as well. It's one of the best sports watches I've had and helps me alot with my cycling. 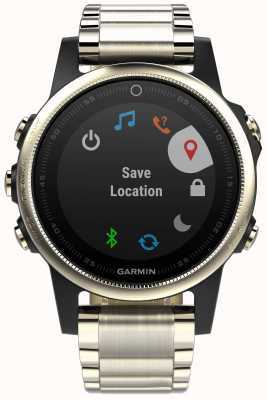 Well I have to admit that I had never heard of the shop before and it came up in a Google search engine...All I can say that they offer an excellent service from start to finish in the purchase of my Garmin Fenix 5x Plus. The sales advisors were really helpful with my initial enquiry and also allow you to make an offer on the item. I have been notified all along the shipping process and the parcel arrived well packed and as instructed. The watch I would like to say is awesome but it is from Santa so I cant tell you anymore about that. I would highly recommend them again and will be using them in the future. Many Thanks and Happy Christmas. Love it or hate it? 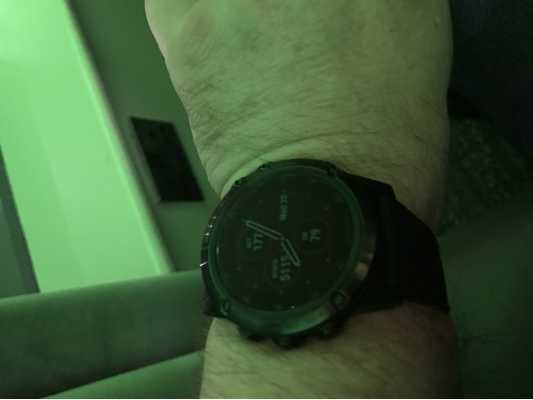 I held off writing a review on my new Garmin Fenix 5x Plus until I had used the watch in ‘anger’. 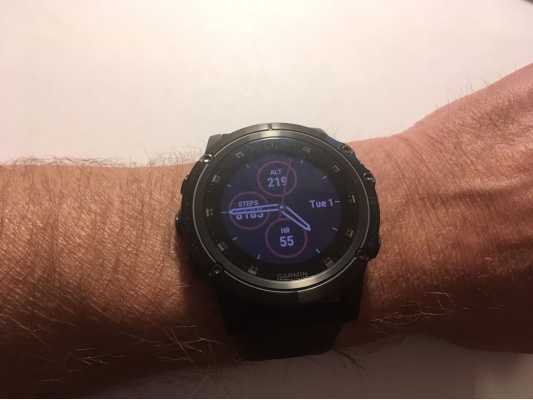 Having read LOTS of reviews on various sports activity watches, I decided that I would part with a substantial sum of money and buy the Fenix 5x Plus. 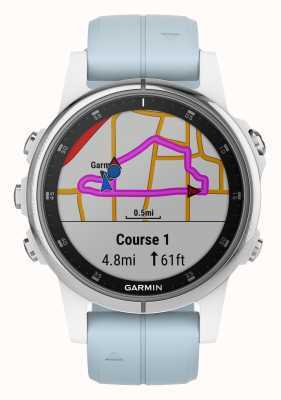 I have a number of watches, but wanted to upgrade my GPS unit on my bike so was looking to incorporate the GPS ability of a bike computer with the functionality of an activity tracker. I looked at the 5x and the 5x+ ...... the 5x+ is bigger and can seem quite ‘in your face’ due to the sheer physical size, but I have a Breitling Navitimer World..... so is on a par with that. I opted for the plus variant as I wanted a longer battery life and the bigger face for ease of use with the maps ..... I am so glad I did. 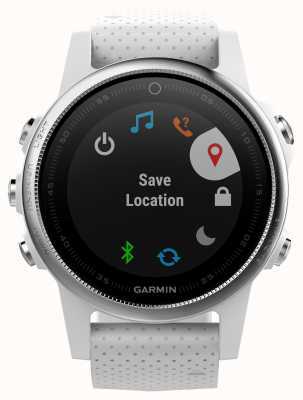 The battery life is brilliant, and the Garmin claims are more or less spot on, if not a little better. I have worn the watch, every day since purchasing it for a variety of activities..... including just being able to tell the time ????. Indoor activities, such as Spin classes, rowing and CV /strength work in the gym are easily tracked and aid HR zone training....the activity tracking start / stop is simplicity in the extreme. Outdoor use is equally as easy. I cycle (road and MTB) and the map function is useful for ‘wild’ rides in giving an additional sense of direction whilst in forests, the GPS function worked well in this environment and I didn’t seem to have too much of an issue with GPS capture/dropout. Equally, whilst walking/trekking in the hills the map/compass function was very useful, however I would always use my map and compass reading skills, rather than relying solely on the Garmin Fenix..... but it’s nice to know the two ‘tally-up’! 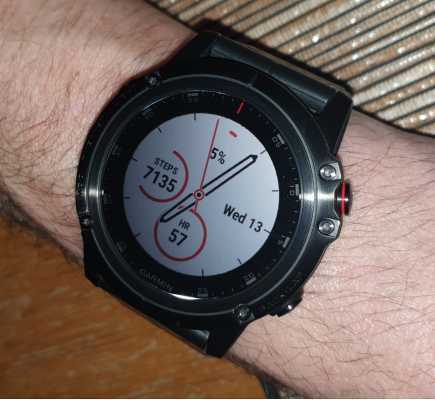 The Fenix5x + is eminently flexible with the range of additional ‘widgets’ available to download. To get the full functionality of the watch, you will have to either download the Garmin app to your Phone (I have an iPhone) which gives a massive array of data which is streamed /synced to the watch or/and a PC . I have done both, mainly because to charge the phone, I use the PC. Unlike IOS /android phones where you get a 3 pin plug and charging lead, with the Garmin, you only get the usb lead and no plug...... so charging through a PC is the only ‘safe’ way to go. I wouldn’t like to risk using the iPhone plug and charging the watch from that as charging rates/capacities potentially vary hugely!!! 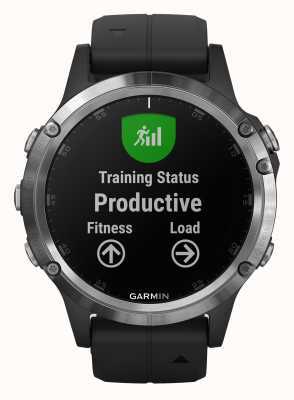 One thing I would suggest, is downloading the Garmin user guid for the watch and printing it out..... the info in the box is minimal to the extreme and the downloadable pdf document is way more detailed...... just saying ???? So..... love it or hate it.......? I LOVE it. Superb functionality, battery life and style a GREAT watch/activity tracker..... albeit on the pricey side...... but as with everything in life ...... you get what you pay for. 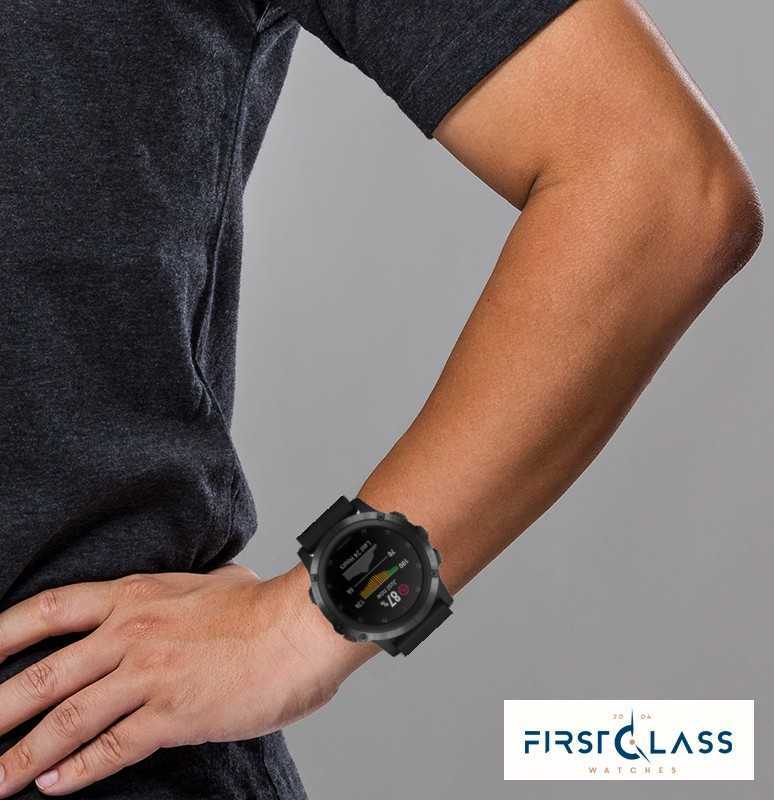 Excellent service from First Class Watches and 100% satisfied with the awesome Garmin Fenix 5X Plus. Black Friday deal was a welcome discount and I was kept fully informed about expected delivery. Will definitely recommend First Class Watches. Very pleased to receive my 5X plus, delivery is fast and the item is in perfect condition. Can’t wait to wear it! Having upgraded from a previous model 5x I am very pleased with the new version. 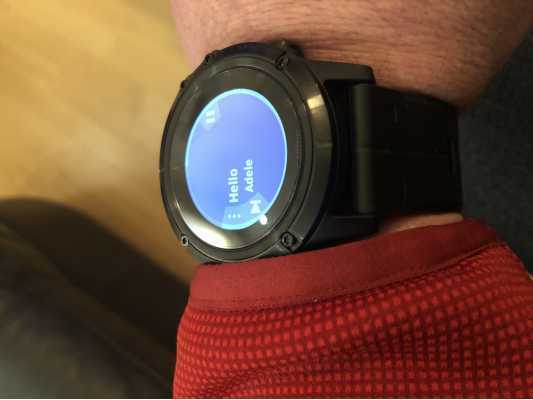 Retaining all of the functionality of the previous watch but now also including the music, Garmin Pay and oxygen saturation features it is an even better all round sports and smart watch. Excellent service : very quick delivery. My son hasn't stopped looking at different functions and exploring it's many features. Very impressive and very happy son.